SHANGHAI, China–Friedrichshafen/Shanghai ZF today announced the debut of ZF coPILOT, an intelligent advanced driver assistance system (ADAS) leading to enhanced safety and driving comfort opportunities. Leveraging the power of AI and equipped with a comprehensive sensor set, vehicles can perform various automated driving functions, especially on freeways. 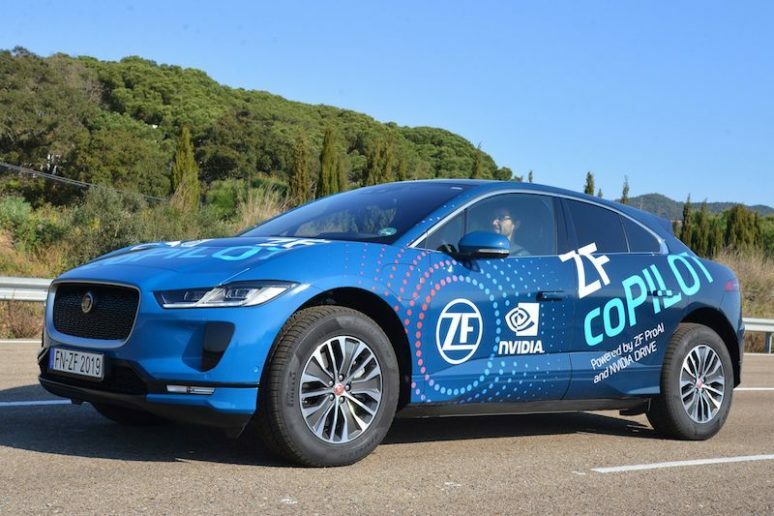 In addition, ZF coPILOT can be operated with voice commands and is designed to recognize traffic conditions, sense vehicle handling and monitor the driver, helping to pre-empt hazardous situations through active control intervention. ZF coPILOT is powered by the ZF ProAI central computer and the NVIDIA DRIVE platform. It is designed for volume production and will be available from 2021. The ZF coPILOT demonstration vehicle, which will be presented for the first time at Auto Shanghai, clearly demonstrates the functional scope and relative comfort and safety benefits for drivers: The vehicle can perform specific driving maneuvers autonomously, for example entering and leaving highways under the appropriate conditions. For more relaxed highway driving, the ZF coPILOT combines an advanced cruise control with active steering assistance and lane keeping assist. In addition, the ZF coPILOT can proactively change lanes, pass, and merge. Furthermore, the system can continuously analyze vehicle surroundings, recognizing pedestrians, oncoming traffic, and intersections. The ZF coPILOT is also equipped with sensors and functions that monitor the driver and can trigger warnings in the event of potentially dangerous situations. For example, were the driver to become distracted, their focus too far removed from traffic on the road or show signs of drowsiness. In addition to intelligent route guidance including “MyRoute” – a map function that recognizes repeat routes – the ZF coPILOT is also equipped with voice recognition so that the driver can conveniently enable, operate and disable driver assistance functions via voice commands, if they wish to drive manually.